Visiting Milies, a small village of Pelion, we leave behind the last bits of urban toxin we carry. 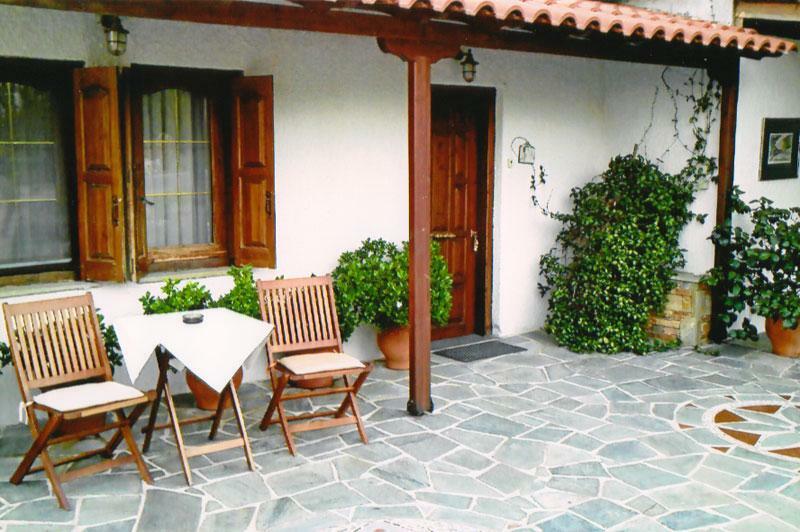 Pelion and our village are an ideal destination for the whole year. 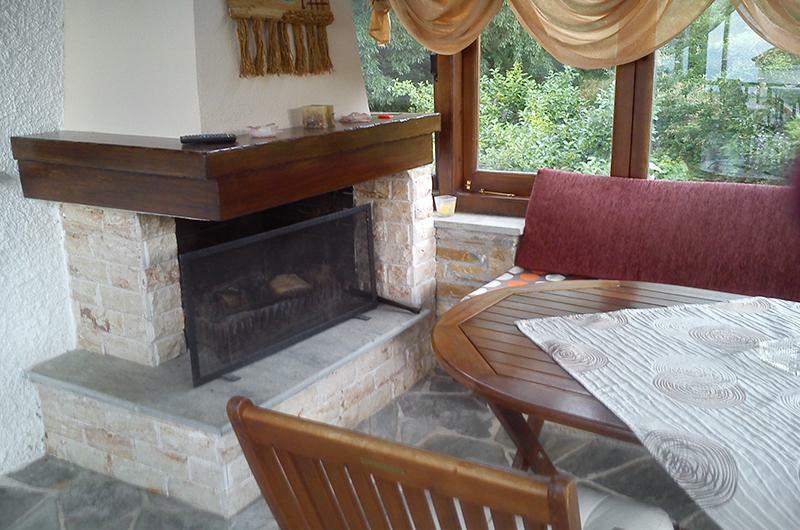 If you visit us in the winter you will enjoy a magnificent whitewashed landscape and drink your coffee in our comfortable living room next to the fireplace. In summer you can swim in the crystal clear waters of the Aegean and Pagasitikos, enjoying the sun in the endless sandy beaches. 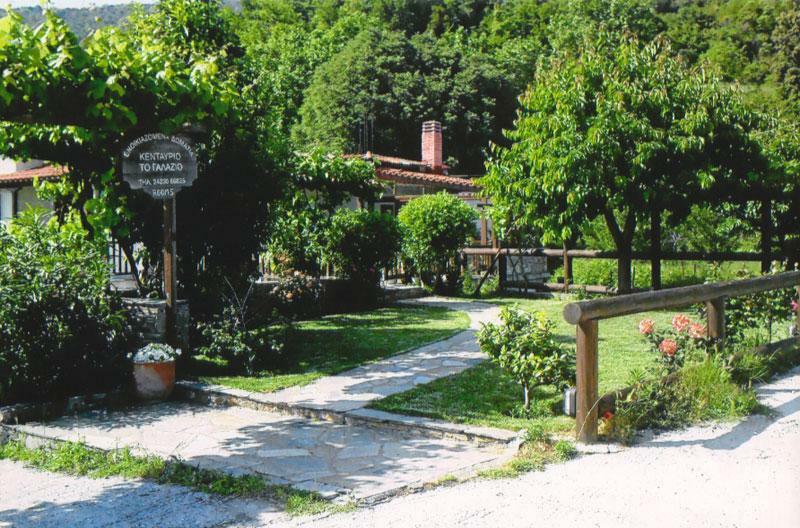 Cool evening dinners in the picturesque little tavern of "Panorma", in the village square and taste traditional delicacies and local flavors. 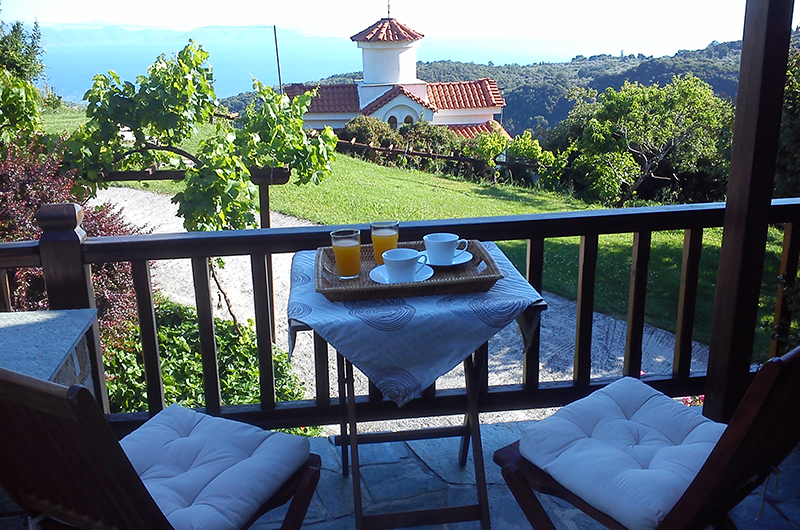 Forget all the worries of everyday life and explore the nature of Pelion. Enjoy the breathtaking view, the mountain but also the beaches of Pagasitikos gulf and the crystal clear waters. 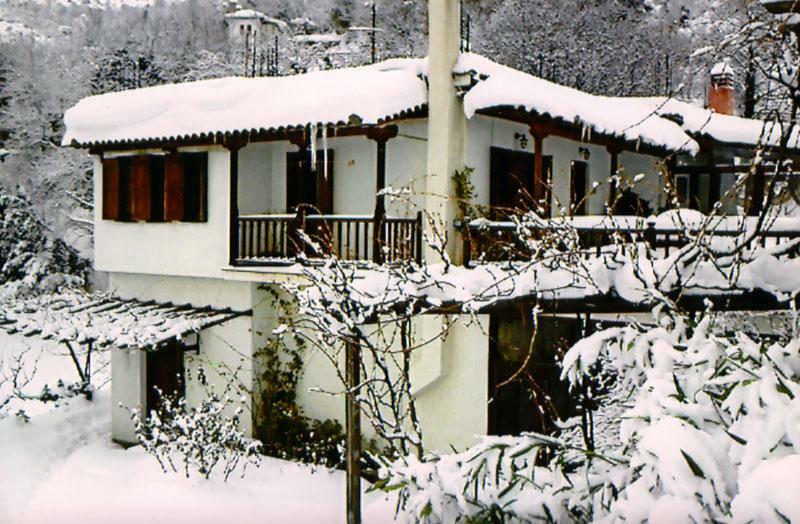 Experience traditional hospitality in one of the most picturesque villages of Pelion. We are left in the absolute inactivity of thinking drinking our drink or our coffee on the balcony of our room overlooking the blue waters of the Pagasitic Gulf. 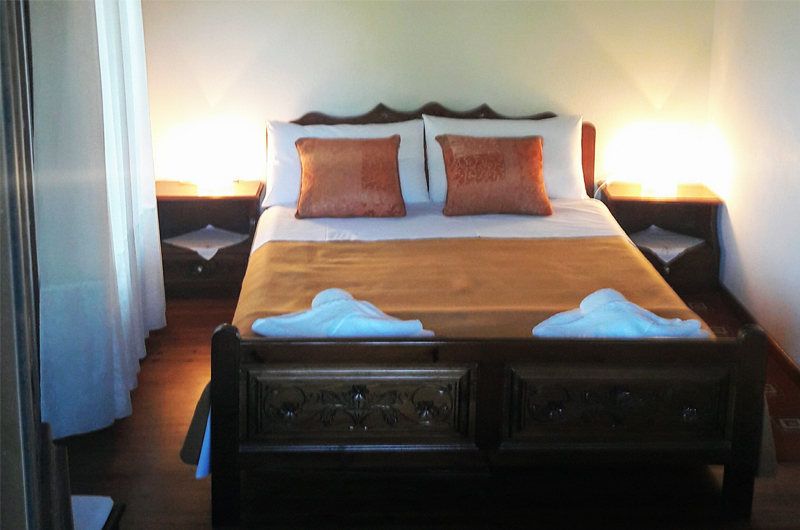 In our guesthouse you will find comfort in our 2-bed and 3-bed rooms. You can use the kitchen as it has full household equipment. 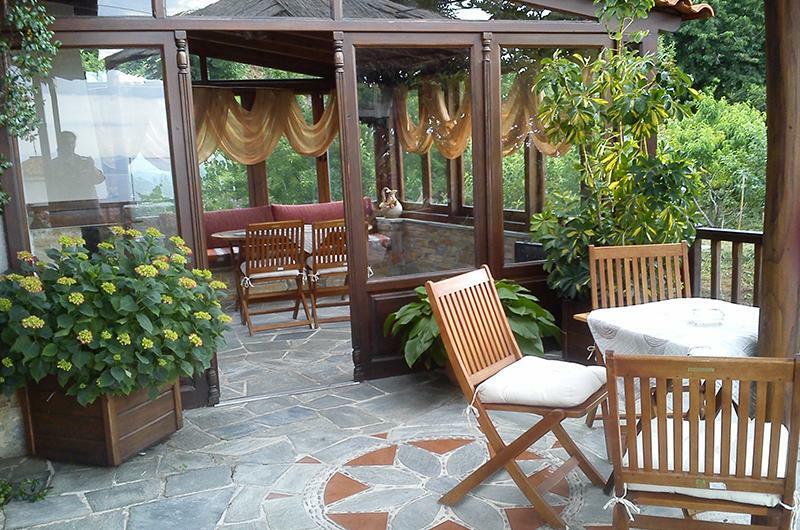 Every morning in the summer months a rich breakfast is served in the dining patio in the well-kept garden. Everything is made with homemade care and pure local products. 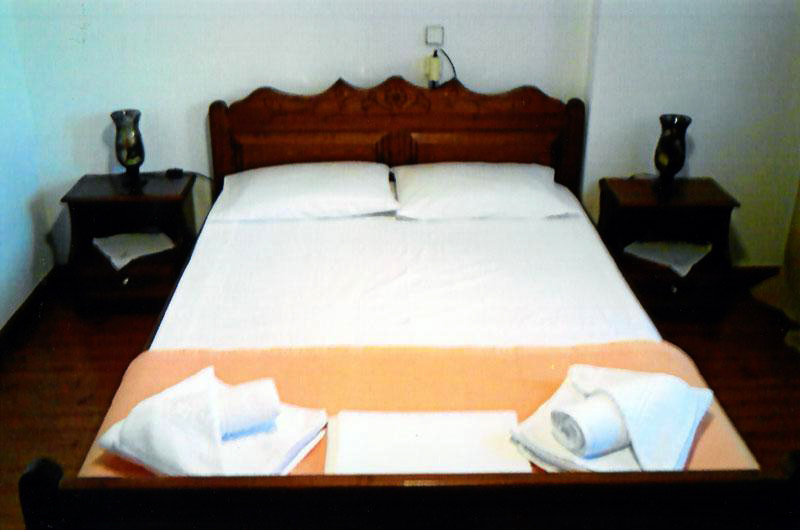 Upon conciliation, horse riding excursions in the nature can be planned for our customers. We are waiting for you to serve you every time of the year.